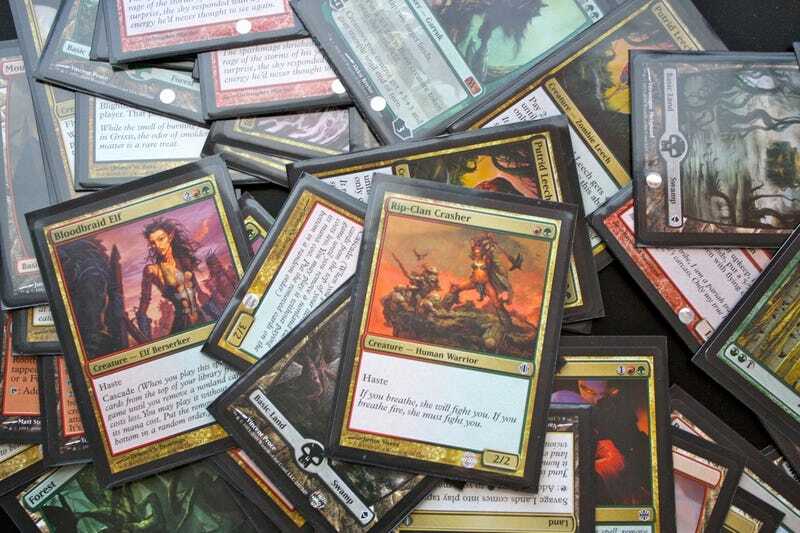 Further proving that if there's a product people have heard of Hollywood can make a movie out of it, Fox has announced they're putting a Magic: The Gathering movie into development, with the hope of turning it into a Harry Potter or Lord of the Rings-type fantasy franchise. The studio has enlisted Simon Kinberg, the Fox-based writer-producer who is also helping shepherd the X-Men and Fantastic Four universes at the studio, to produce the adaptation. Kinberg will also act as the franchise's engineer — or supreme sorcerer, if you will — overseeing the development of the movie series in concert with Hasbro execs. I won't, Hollywood Reporter. Now, if you said Kinberg was going to tap this franchise for all its mana, I might have been with you. I definitely would have approved if you said Kinberg was planning on heading straight to his local collectibles store to buy as many packing of Magic cards as it took before a plot occurred to him.